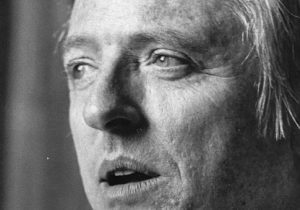 Washington Free Beacon The Irreplaceable William F. Buckley Jr. The Irreplaceable William F. Buckley Jr. In 2008 I applied for a journalism fellowship from the Phillips Foundation. The process included an in-person interview with a panel of judges. One of them was the original "Prince of Darkness," Robert D. Novak. The great reporter examined my resume and noticed I had graduated from Columbia University. He looked at me quizzically. "Who's the greatest conservative to have graduated from Columbia?" he asked. I thought for a moment and replied, "Norman Podhoretz." Novak grimaced. "Not Whittaker Chambers?" I hurriedly acknowledged Chambers's importance to the conservative movement, and to American history in general. In 1948, Chambers admitted he had been a Communist spy whose co-conspirators included high-ranking State Department official Alger Hiss. Hiss sued him for libel. But Chambers, working with a freshman congressman named Richard M. Nixon, was vindicated when he produced memoranda Hiss had forwarded to the Soviet Union. I thought of this episode after reading a George F. Will column on Buckley and conservatism. The morning email I receive from the Washington Post billed the piece as a call for another William F. Buckley Jr. "Conservatism," the headline read, "is soiled by scowling primitives." Will says, "America needs a reminder of conservatism before vulgarians hijacked it, and a hint of how it became susceptible to hijacking." The reminder comes in the form of A Man and His Presidents, a new biography of the founder of National Review. While praising Buckley's "ebullience, decency, and enthusiasm for learning," Will blames none other than Chambers and Witness for injecting into conservatism "a sour, whiney, complaining, crybaby populism." The "cloying sentimentality and curdled resentment" in which Chambers "wallowed" is, Will says, "the screechy and dominant tone of the loutish faux conservatism that today is erasing Buckley's legacy of infectious cheerfulness and unapologetic embrace of high culture." Well. The constraints of newsprint no doubt limit Will's ability to go into detail. But I hope he does, because his sudden jab at Chambers makes little sense. Chambers may have been sentimental and melancholic and pessimistic, his prose may have been tinged with purple, but he was if anything a moderating force on Buckley. Throughout their correspondence, collected in Odyssey of a Friend (1968), Chambers urged Buckley to accept the political reality of the New Deal, to be wary of Joe McCarthy, and to drop his criticisms of Eisenhower and Nixon. He resisted joining National Review because he viewed it as too ideological. He abjured the label conservative and preferred to be described as a "man of the right." He appeared on the NR masthead for just two years, leaving in 1959 because of editorial differences. (Chambers died in 1961.) His conservatism, such as it was, was adaptive. "That is what conservatives must decide," he wrote, "how much to give in order to survive at all; how much to give in order not to give up basic principles." If any of Buckley's mentors was responsible for the populist strain in postwar American conservatism, it was his Yale professor Willmoore Kendall. This brilliant and difficult philosopher, himself a former Trotskyist and supporter of the New Deal, formulated a majoritarian politics that sided with "the people" over social, economic, and political minorities. A community, said Kendall, not only had the ability but also the duty to enforce conformity to certain values, and to limit freedoms that might threaten the community's existence. It was Kendall who assisted Buckley and L. Brent Bozell in the draft of McCarthy and His Enemies (1954), who put forth the idea of a liberal establishment against which conservatives waged war, whose belief in the sanctity of majorities was the background to Buckley's quip in 1960 that he would rather be governed by the first 2,000 names in the Boston phonebook than by the faculty of Harvard University. Still, Kendall was no lowbrow. He was an expert on John Locke. He translated Rousseau. God only knows how he'd react to Breitbart.com. I bring all this up because it is important to get this history right. The reason it's important is simple: The conservative movement is fracturing. Many conservatives are looking to the past to provide an anchor, for something to hold onto in the midst of the storm. "Today, conservatism is soiled by scowling primitives whose irritable gestures lack mental ingredients," says Will. "The conservative mind, in some very visible cases, has become diseased," writes Michael Gerson. Buckley is held up as someone to mirror, the ideal to pursue. A slew of recent books examine his life and writing. The founder of American Affairs "noted wryly" to Politico that he is "‘coincidentally'" the same age as Buckley when he founded National Review. "Two eras in conservative journalism in this country: The Buckley era and the Ailes era," Ross Douthat tweeted. "May the next one be more like the first." But nostalgia, including for conservative intellectuals, carries dangers. There is the risk of simplifying the past to condemn the present, the risk of pretending our problems are no different than those of a bygone era. Who wouldn't prefer a conservatism of wit, erudition, eloquence, and panache? Nevertheless, there won't be another William F. Buckley Jr. His conservatism, and his America, no longer exists. "Perhaps the most important fact to assimilate about modern American conservatism," writes George H. Nash in Reappraising the Right (2009), "is that it is not, and has never been, univocal. It is a coalition with many points of origin and diverse tendencies, not always easy to reconcile: a river of thought and activism fed by many tributaries." Buckley is more responsible than anyone for assembling that coalition, for determining who would be a part of it, and who would not. He let classical liberals, traditionalists, and anti-Communists into the pages of National Review, but kept out anti-Semites, the John Birch Society, Objectivists, and the followers of anarcho-libertarian Murray Rothbard. He was an editorial gatekeeper, the enforcer of political standards as well as intellectual and grammatical ones. He was not perfect, and he came to regret his opposition to World War II and to civil rights. But he was an ingenious publicist, using his newspaper column, 1965 mayoral campaign, and television show to model for young people a highbrow conservatism that was free market, Catholic, and committed to the defeat of the Soviet Union. Buckley could be ecumenical because the coalition he represented was small. Over time, as new groups joined his movement, and as earlier groups split apart or disappeared altogether, it became impossible for one man to appeal to every faction. First the neoconservatives arrived, then the New Right, then the theocons, and then the paleos. The Leocons, or followers of Leo Strauss, broke into Claremonsters on one hand and East Coasters on the other. The traditionalists died off, and the anti-Communists fell with the Berlin Wall. Some enmities never wavered. "By far the most persistent source of discontent on the right," says Nash, "has been the status within its ranks of neoconservatives." In the last decade alone there have been crunchy conservatives, Sam's Club Republicans, constitutional conservatives, and nation-state populists. There is even an alt-right, which despises the other groups as sellouts and traitors and cucks. Not even William F. Buckley Jr. could embody the ideas and goals of these clashing sects. Nor would he want to. It is important to remember that, when National Review was founded, Buckley was the leader of a fringe movement. He made conservatism respectable again after the Great Depression and Second World War had delegitimized it. His prominence was due not only to his energy, diligence, and charisma, but also to his novelty, his impudence. For many years people wanted to hear what he had to say because no one else was saying it. In the world of I Like Ike, the New Frontier, and the Great Society, no similarly situated member of the New York elite held his then-outlandish views on the role of government, academic freedom, the place of religion in public life, and confrontation with the Soviet Empire. His courage shifted the intellectual and political landscape. So drastically has that landscape changed, however, that a young Buckley would find it unrecognizable. Global communism has disappeared. The Republican Party, dominant at all levels of government, is more conservative than ever. Instead of three networks repeating the New York Times every night, we have so many cable channels that subscribers are unbundling them. There is a conservative media universe of cable, talk radio, and periodicals. The newspaper industry has imploded, and been replaced with an uncountable number of websites hawking every conceivable political persuasion, as well as social media that allow individuals to express themselves directly. It is difficult to crusade against dominant and stultifying opinion when the range of opinions is so broad. And because technology has lowered the barriers to entry, made every smartphone a printing press, and eliminated the role of the editor, the gatekeeping function of Buckley and National Review is obsolete. Last year Buckley's inheritors emulated him by declaring Donald Trump outside the bounds of the conservative movement. But Trump did not need National Review. He had Twitter. As he grew older Buckley seems to have become disillusioned, bored with politics. He wrote fiction, reveled in honors. There was a long and public unwinding of his professional commitments. He retired as editor in chief of NR in 1990, Firing Line went off the air in 1999, he officially left the public speaking circuit in 2000, and he divested himself of NR shares in 2004. His last syndicated column appeared in February 2008, a few weeks before he died. By then he had become somewhat estranged from his political party, from the very political tendency he had helped to form. He opposed the surge of troops to Iraq, criticized George W. Bush for fiscal and diplomatic irresponsibility. "Viewed as a straight political trajectory," he told an interviewer in 2007, the conservative movement "peaked in 1980." Those are dispiriting words to read for a conservative born the following year. What Buckley did was prove that intellectual conservatism could be popular. He was a celebrity, his column ran in hundreds of papers, his books were bestsellers, the circulation of National Review grew to six figures, his presence on campuses was in demand. He reached the height of his fame at a moment when middlebrow culture still existed, and public discourse was more elevated than it is today. As media became more deregulated and decentralized, it also became more demotic, more vulgar. The possibility for an intellectual conservatism still exists, even if the social and political conditions that would enable such conservatism to reach a popular audience do not. This intellectual conservatism might adopt Buckley's élan, his belief in the importance of ideas, his verbal dexterity, quick wittedness, and talent for ridicule, as well as his loathing of moral equivalence, "policy misfits," and "welfare populists" whose politics are cover for the further centralization of power. This intellectual conservatism might also remember its longstanding commitment to what one longtime subscriber to National Review called "the maximum in individual freedom consistent with law and order." Many years later, in a speech celebrating NR's thirtieth anniversary, that same man put it this way: "NR taught several generations of conservatives that it is this recognition of a higher order that enables the individual to stand against the massed power of the modern state and say: No, there is more to life than your budget and bureaus, your camps and constraints." Or as Buckley said in a 1997 speech: "The proper challenge of conservatives is to tame the state, and the question we most appropriately ask is, What is the proper tempo for such an enterprise?" Note that Buckley did not use the words abolish or reduce. He used the word tame. He had moved quite a ways from his youthful, outright opposition to the New Deal. It is appropriate to ask Buckley's question once more, in light of the problems facing America today. Uncontrolled borders, millions out of the work force, transnational gangs and terrorist groups, political Islam, rampant drug addiction, suppression of free speech and religious liberty, the collapse of liberal education, and judges and bureaucrats operating beyond their constitutional authority—how do we address these issues while preserving the dignity and freedom of individual Americans? There is no William F. Buckley Jr. to help us, but that is the way of things. "Each age finds its own language for an eternal meaning," Whittaker Chambers once wrote. Now it is our turn.